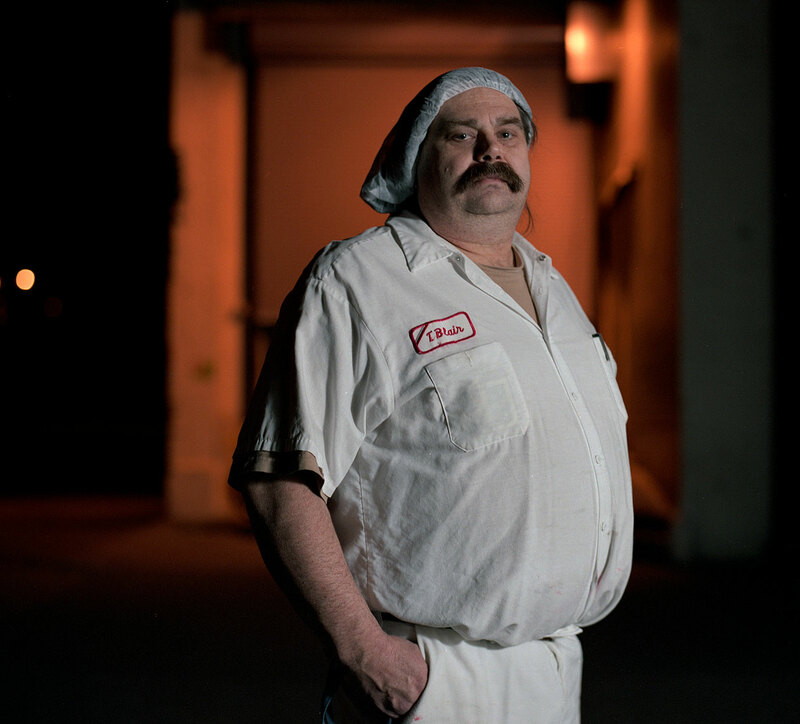 Thomas J. Blair, a certified master baker and a veteran of the industry with over 35 years of experience, was photographed at the Hostess Cake bakery in Seattle. Blair's 35 years of working the graveyard shift have affected his life heavily. He has four failed marriages behind him.